The Fundamentals program focuses on an essential curriculum of techniques that apply directly to the most probable self-defense scenarios. Classes are structured to give students a total understanding of the ranges, transitions and dominant positions that occur in a fight. 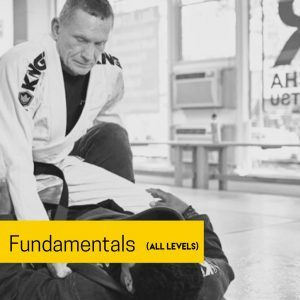 This class aims to take someone new to jiu-jitsu and give them simple strategies that provide a great degree of versatility across a variety of situations, with a relatively small number of highly efficient techniques, in as short amount of time as possible. 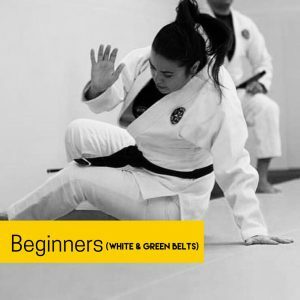 For those students ready to continue building off of the fundamentals, the beginners class provides the next challenge along the way. In this class you will be able to practice and hone your technique against knowledgeable, formidable peers, at live speed, while remaining safe and healthy at the same. This is the path to fitness, self-confidence and personal growth that is offered by jiu-jitsu, more than any other martial art in the world. This class is specifically designed for those practitioners that want to challenge themselves. 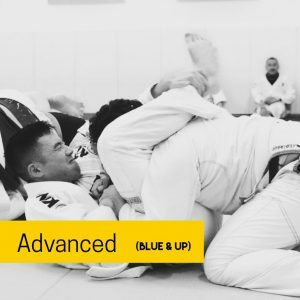 Between the high-intensity warm-ups and greater complexity in the techniques taught, this class is designed for competitors and those who want to take their Jiu-Jitsu to the next level. You will be tested every time, but you will surely become better because of it.